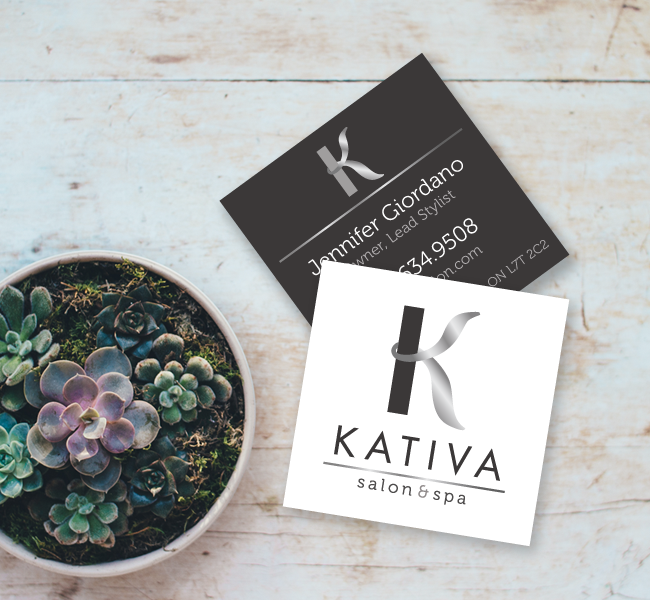 This hand-sketched and refined logo designed for Kativa Salon & Spa was a joy to create. Taking the illustrations and refining them to create this exquisite letter K you see here. The flowing shape is alluding to a lock of hair. The subtle know around the stem of the K is an ode to the word “naughty” the root meaning of Kativa. These custom square cut business cards with silver foil, fit the brand perfectly.